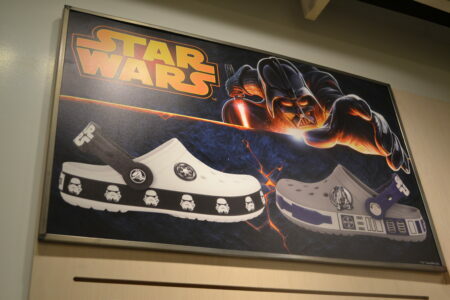 To celebrate National Star Wars Day, May 4th, Crocs released their new Star Wars kids collection. 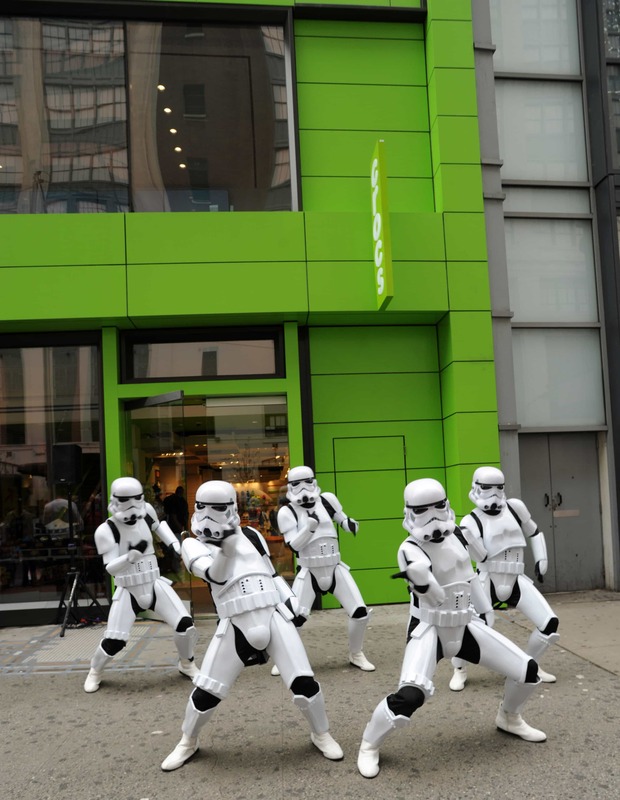 The new line was highlighted by a Storm Troopers dance break in front of their flagship store on 34th street in New York City. The crowd was beyond excited when dancing troopers performed their choreography from the popular YouTube video created by YouTube sensations Scott and Brendo. 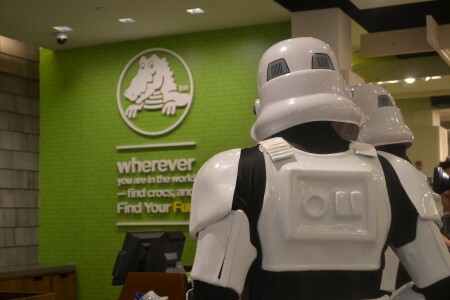 After the performance, customers and Stormtroopers were welcomed into the store to view and try on the new line. It was a hoot to watch the Stormtroopers interact with the customers, helping them pick out cool-looking Crocs and purchasing a few themselves. We even ended up stuck in an elevator with one of the unsavory characters. 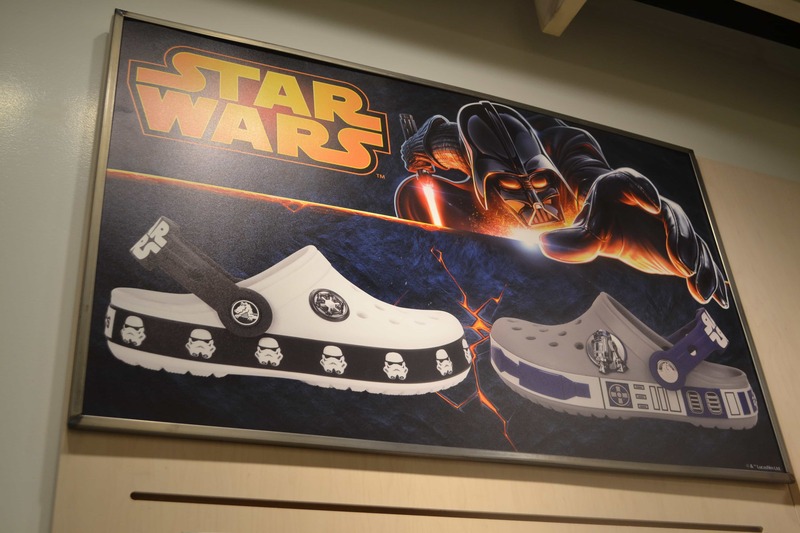 During the festivities, two winners were each able to take home a giant Star Wars Croc. The partnership of music duo Scott and Brendo, their dancing Stormtroopers, and Crocs was seamless and enjoyable. Kids of all ages jumped at the chance to pose with the epic Star Wars characters, and perused the new line, as well as all of the other Crocs displayed in the store.